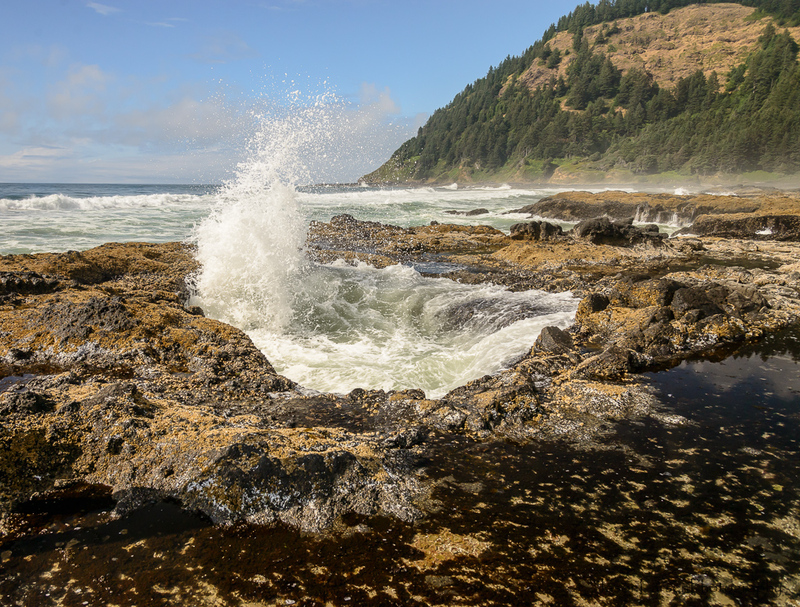 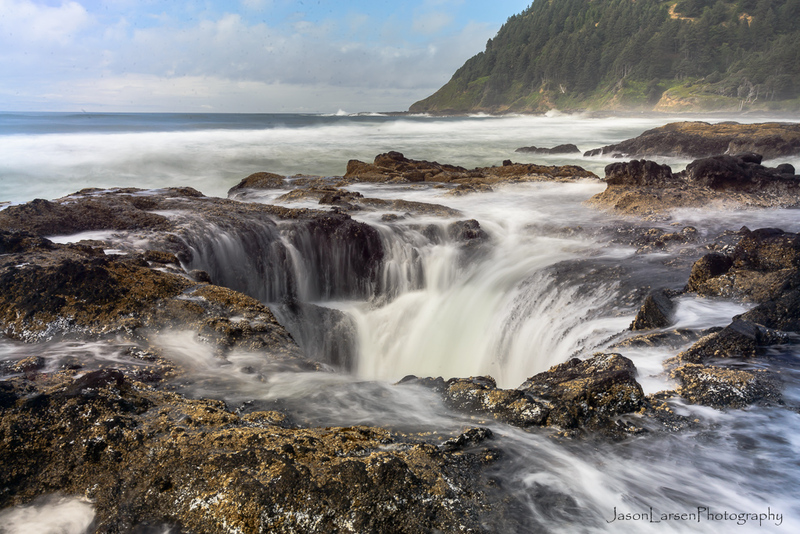 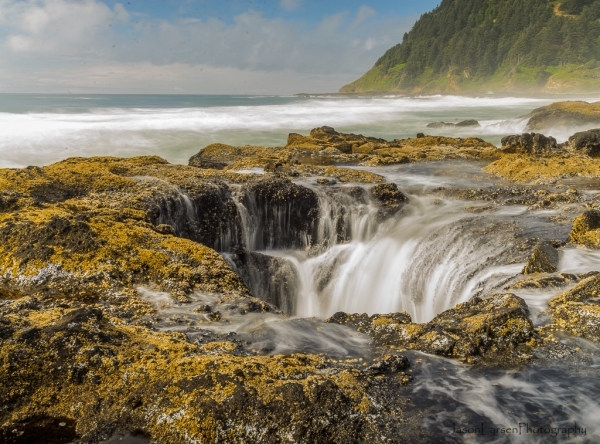 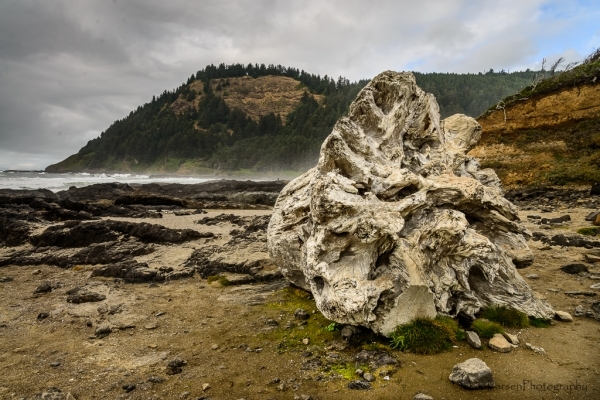 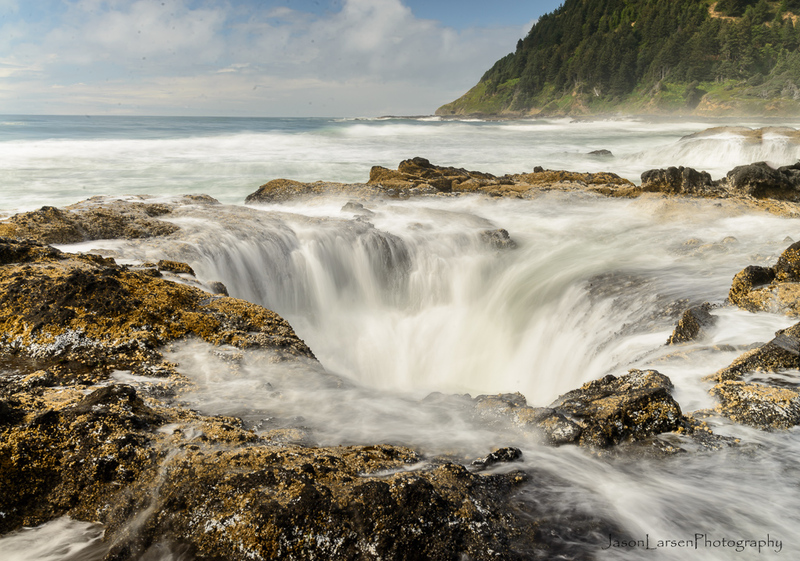 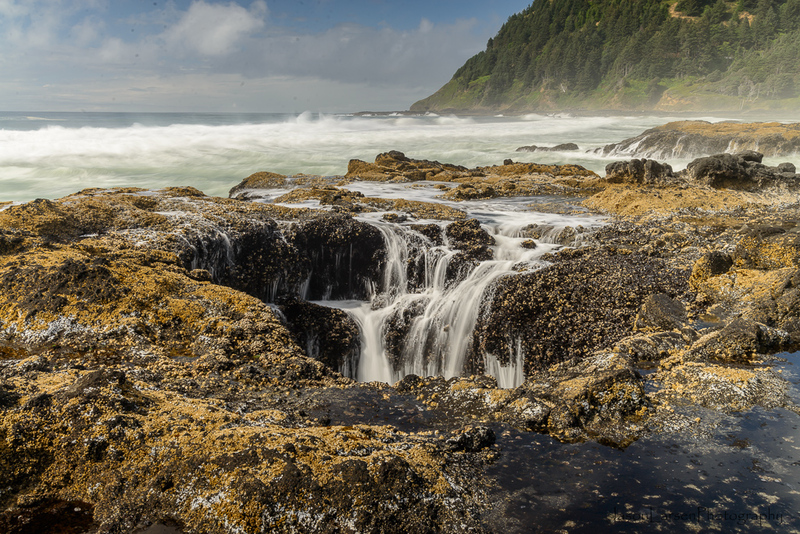 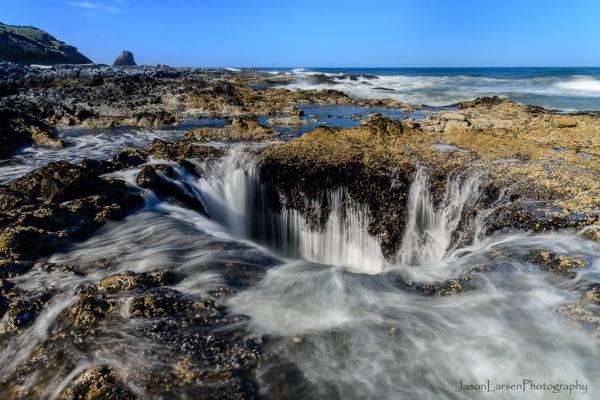 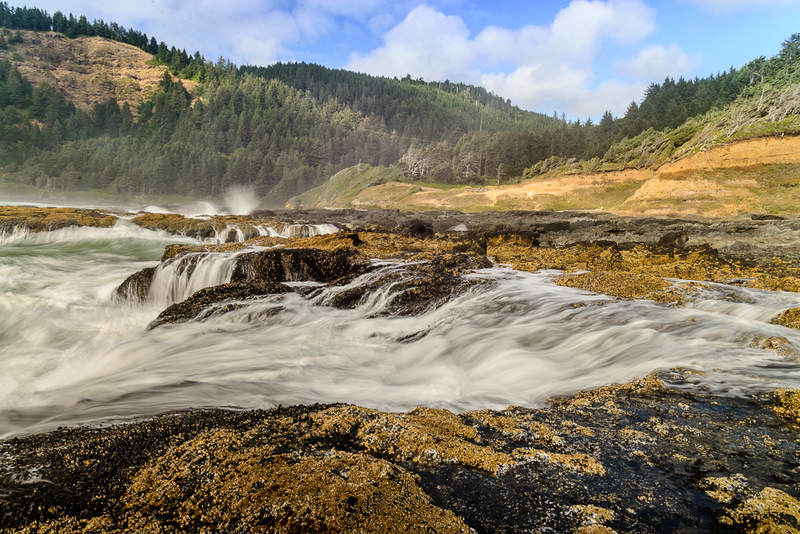 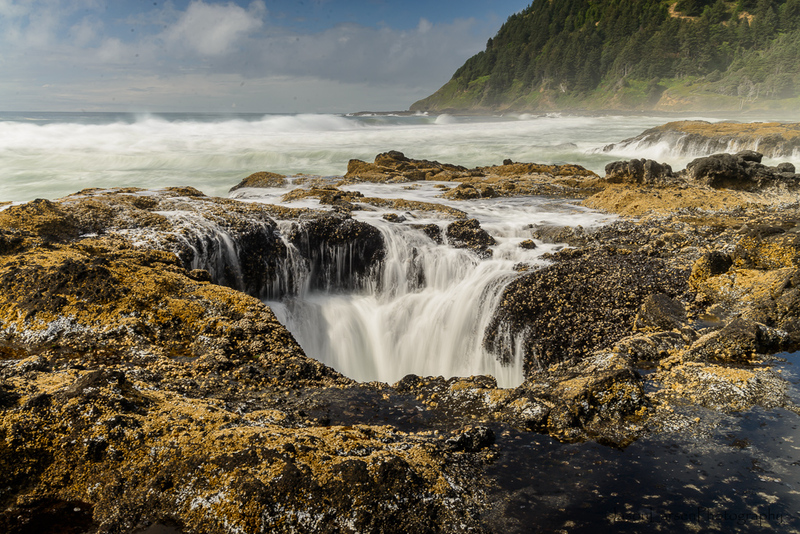 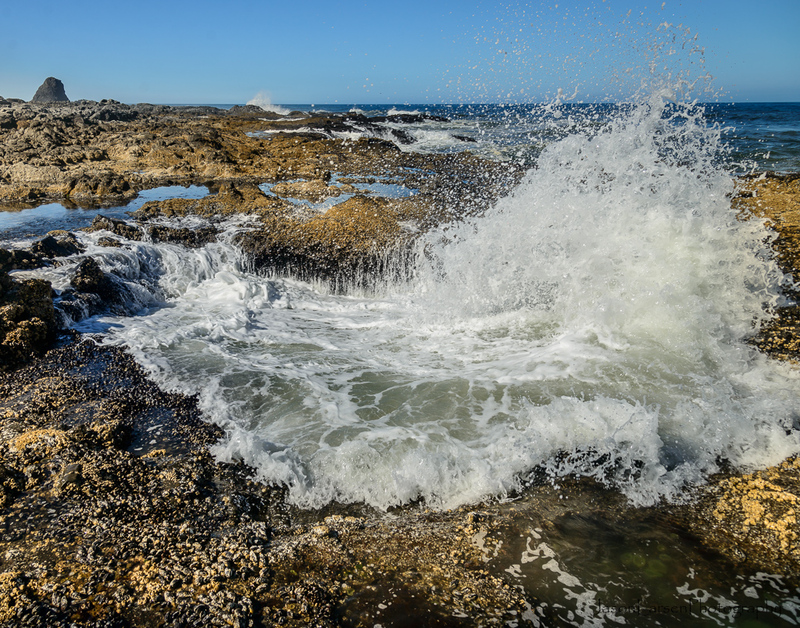 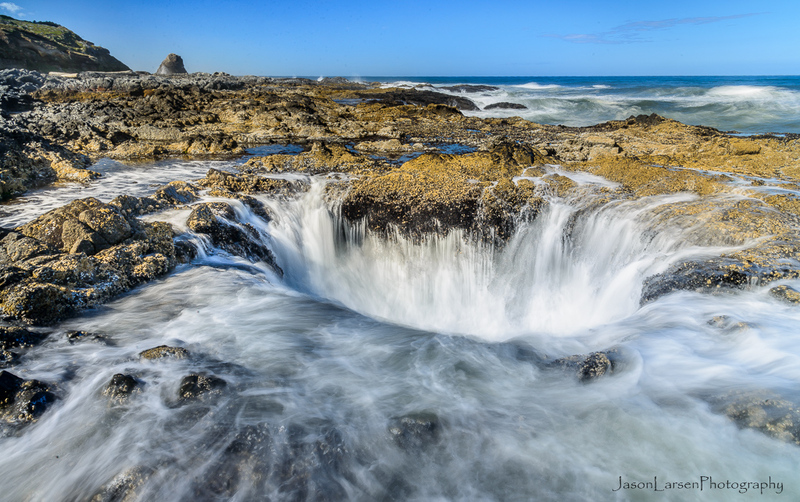 Near Yachats, Oregon is a great geological/photographic site known as Thor’s well. 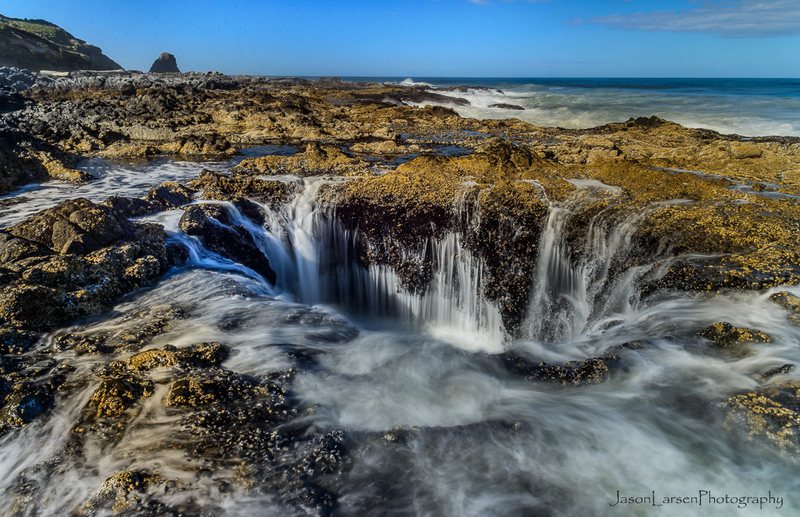 When we were out this past July for my sister-in-law’s wedding I took the opportunity on two different days to go up and photograph Thor’s Well. 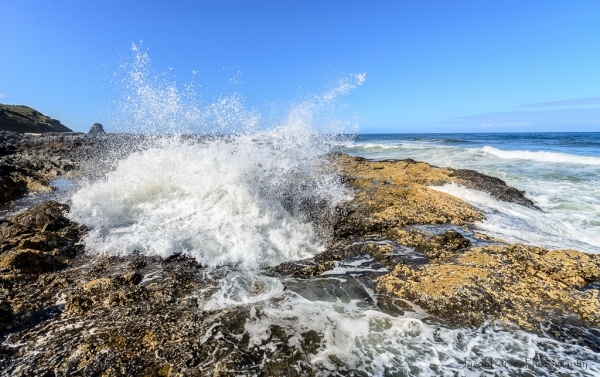 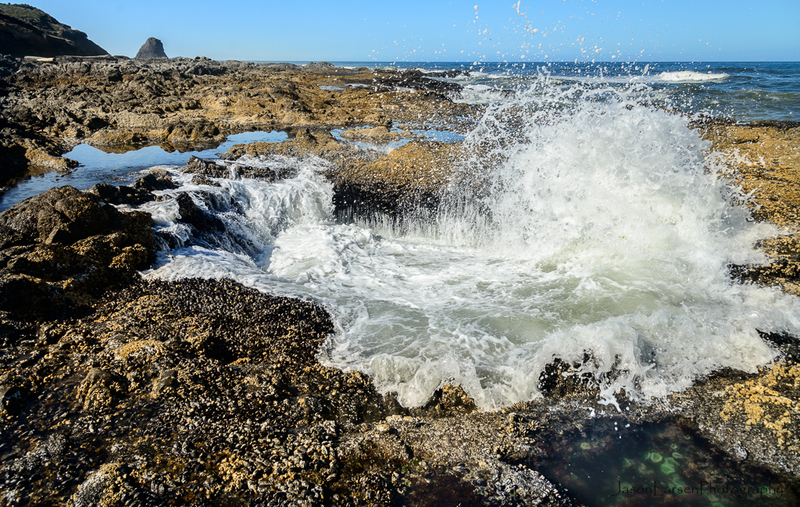 Thor’s Well is best photographed as the tide is coming in. 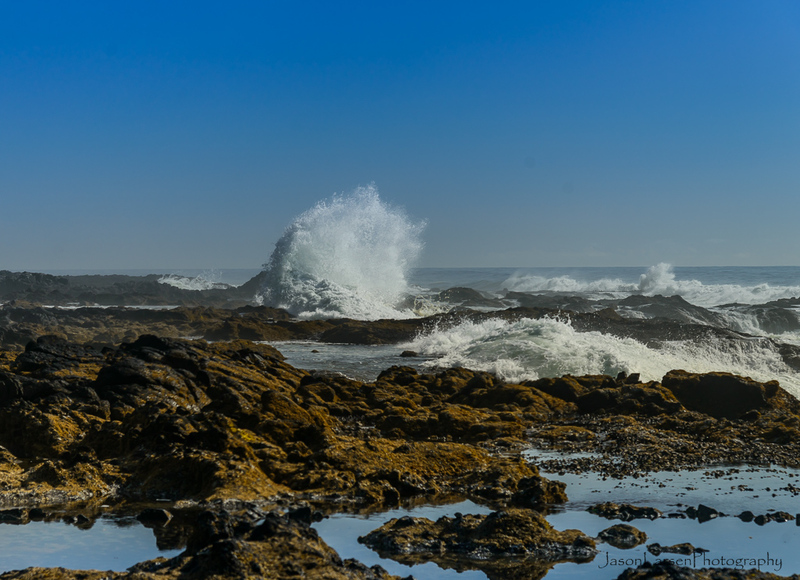 Because of this the opportunities I was able to photograph was mid afternoon the first day and the morning of the second. 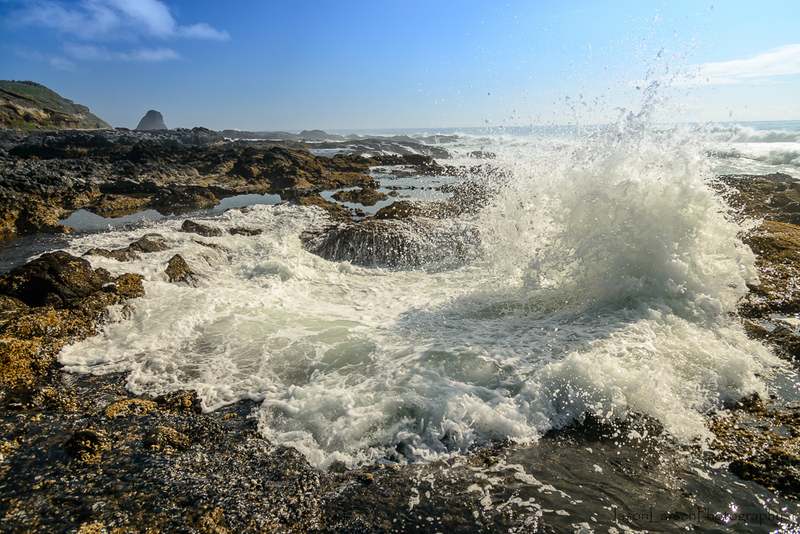 If you can get there when high tide corresponds to sunset you can get some more dramatic shots. 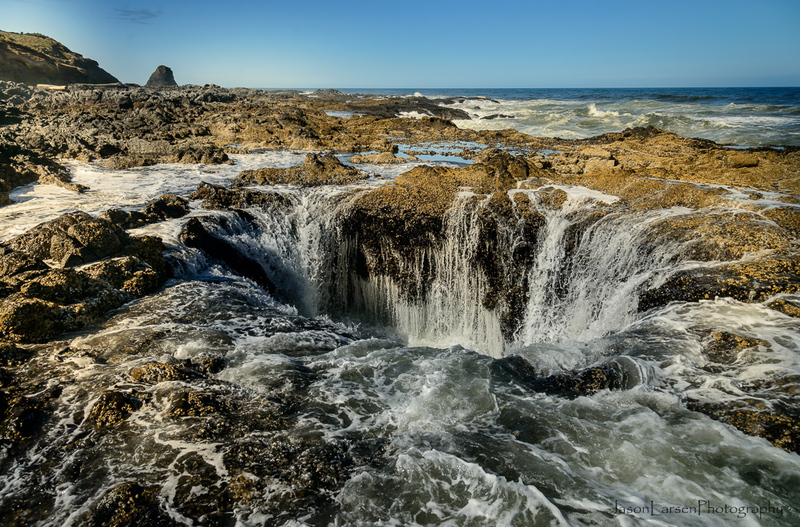 This is the view looking north while standing at the well. 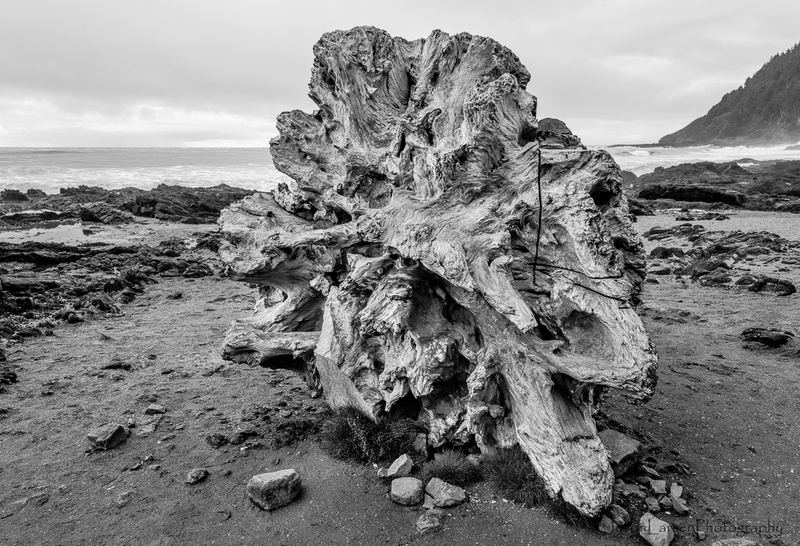 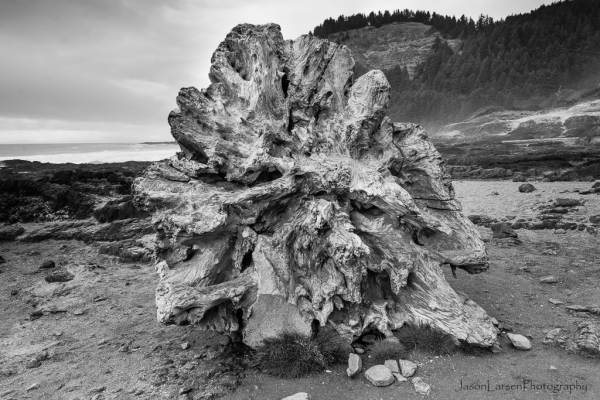 Old driftwood tree in color and B&W. 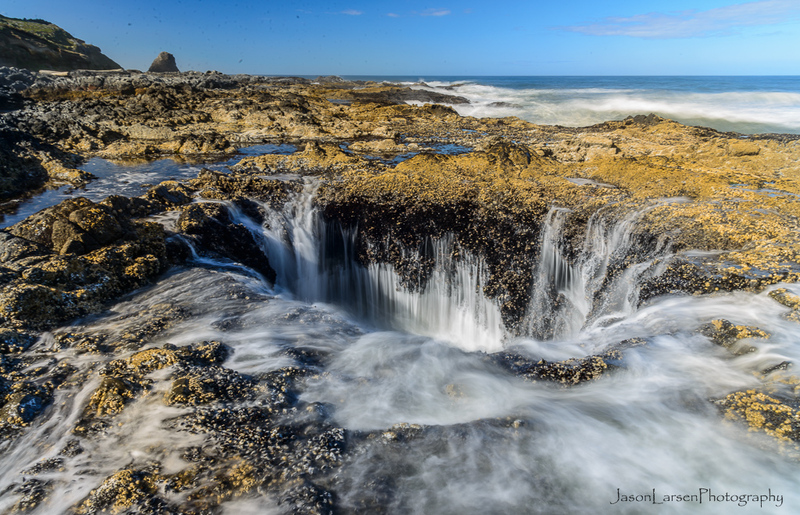 One of the morning shots of the Well, looking south this time. 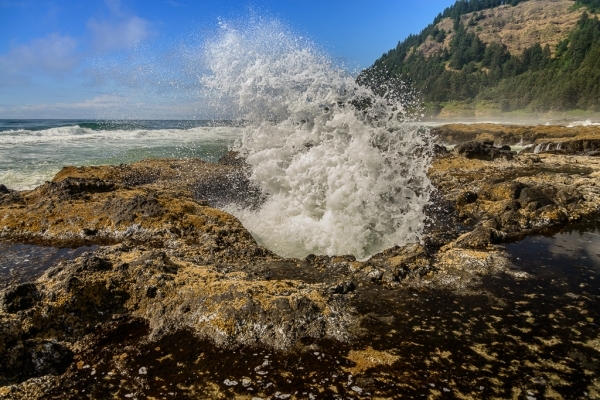 I like both the stop action shots of the water exploding out of the well and also the motion shots of the water draining back into the well.